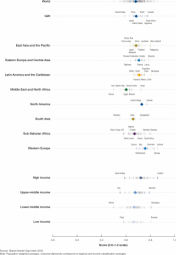 The variation in time required to close the gender gap across regions described above, mirrors the current size of gender gap in each geography. Figure 6 provides a snapshot of the current regional average gap closed so far. At a global level, in 2018, four regions have a remaining gender gap of less than 30%—unchanged from last year. Western Europe records a gender gap of 24%, placing it ahead of North America (gap of 27%), Latin America and the Caribbean (gap of 29%), and Eastern Europe and Central Asia (gap of 29%). 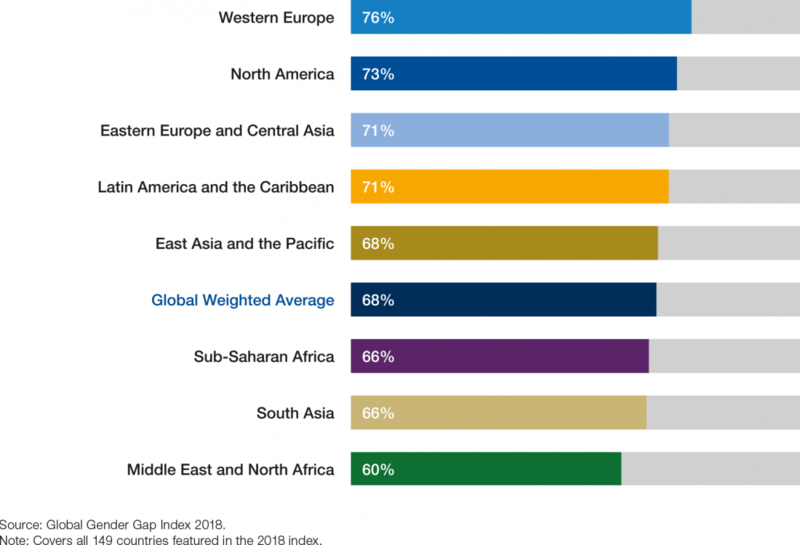 The East Asia and the Pacific region ranks ahead of Sub-Saharan Africa, with a remaining gender gap of 32% and 34% respectively, while South Asia, with a gap of 34%, ranks ahead of the Middle East and North Africa (gap of 40%). The reader should note that population-weighted group averages are used throughout the report. As depicted in Figure 7, performances vary considerable within regions as well. The figure reveals, for example, that, despite Western Europe’s relatively high regional average, there is a wide spread of outcomes among the region’s 20 countries. A similarly wide spread of country performance also exists among the 33 countries covered in the Sub-Saharan Africa region. Here, the heterogeneity of outcomes is frequently driven by widely varying performances on the Educational Attainment subindex. 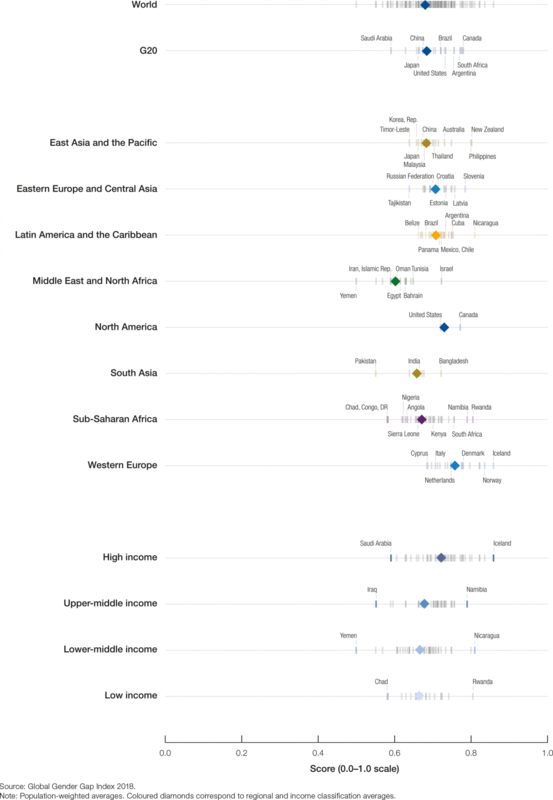 In other regions, the largest range of outcomes exists across the Economic Participation and Opportunity and Political Empowerment subindexes, while performance differences across the Educational Attainment and Health and Survival subindexes tend to be comparatively minor. The performance and ranking of the 149 economies assessed in this year’s edition of the report is summarized in Table 3 and Table 4. After discussing the performance of the ten best performers, this section details the regional and country-level results within each region.